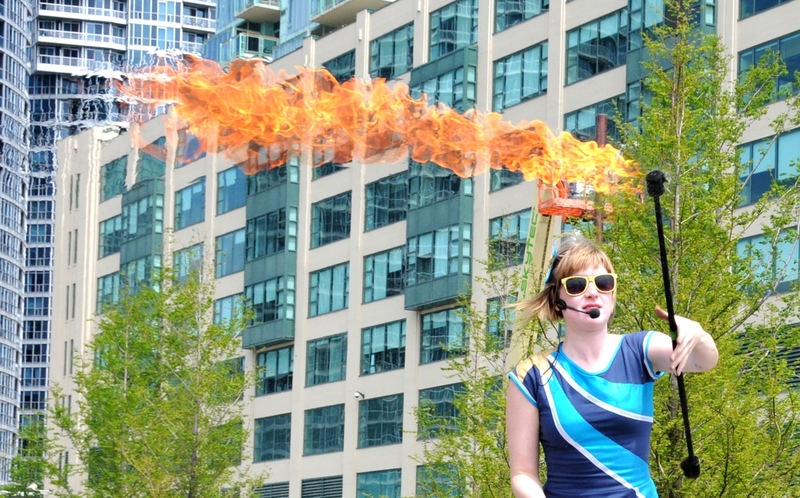 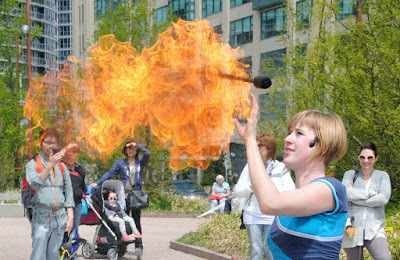 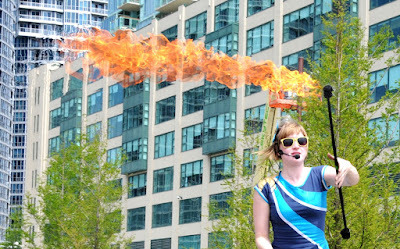 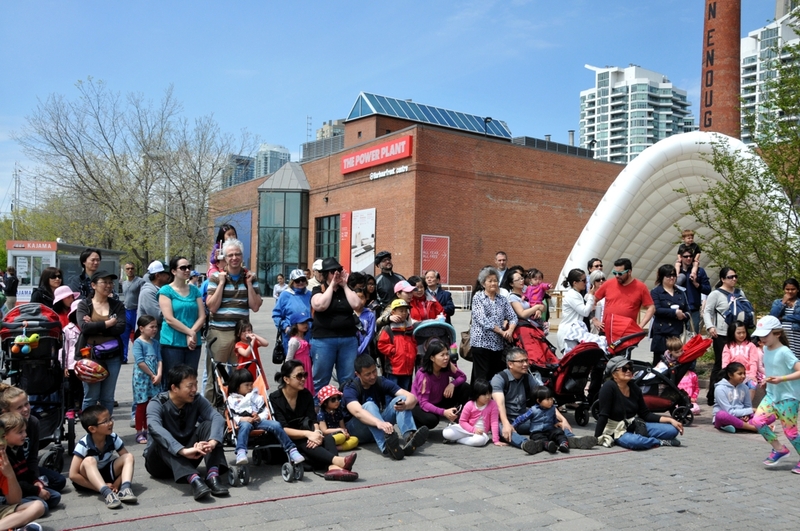 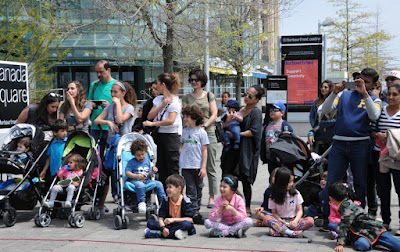 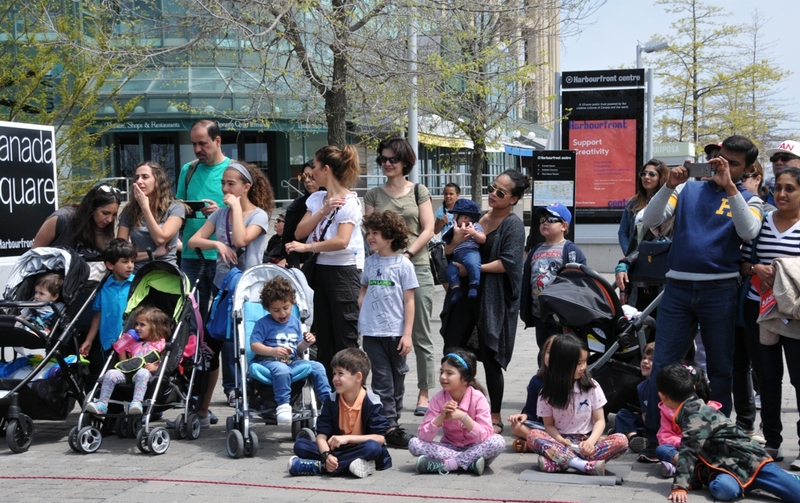 She brings the flaming hula hoops to Harbourfront and as the crowd gathers around her, they fear for her life as she is so close to the burning black marshmallow type things. 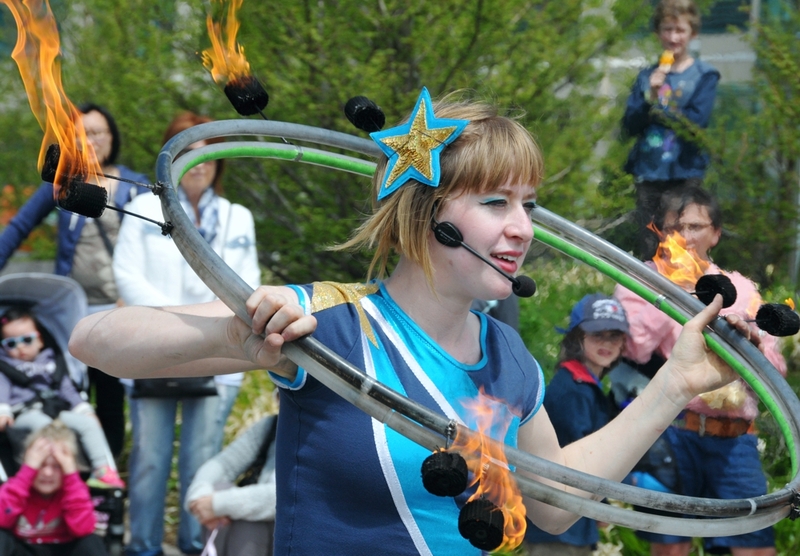 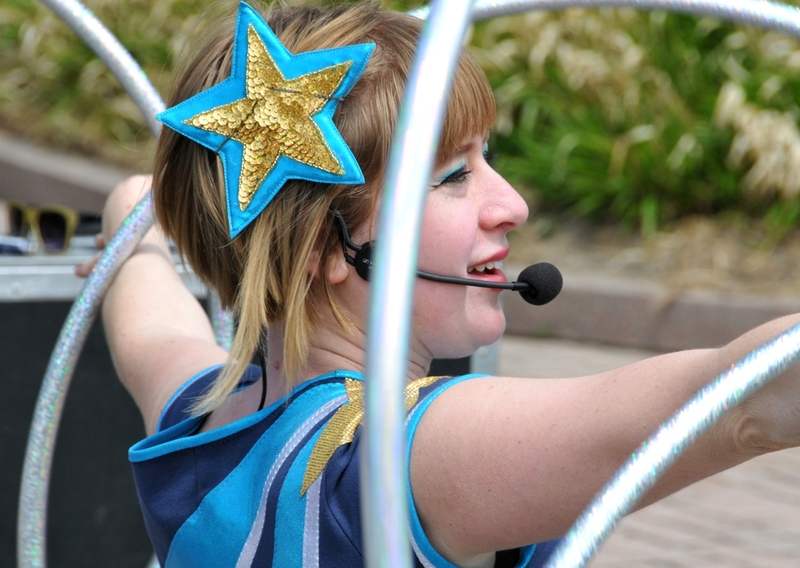 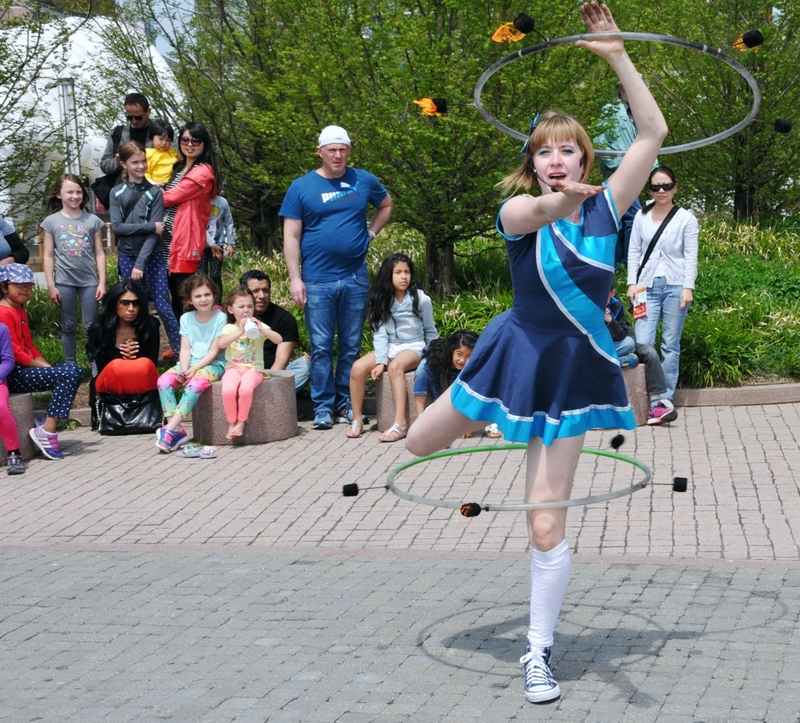 Her warm up act features a gradual buildup of spinning hoops, from one to four, before she brings two helpers in from the audience and has them throw ten hoops at her. 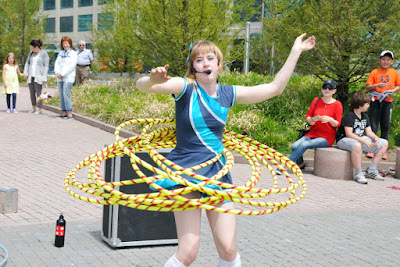 I counted and there were indeed ten hula hoops that were flung and quickly incorporated into her spinning act. Bex in Motion was inspired by her birthday, which apparently was today, and her finale featured two flaming hula hoops. 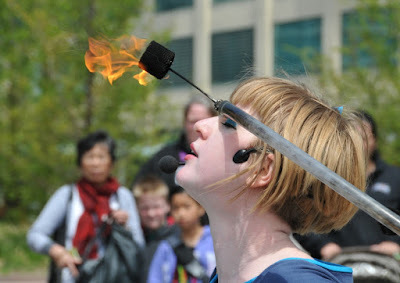 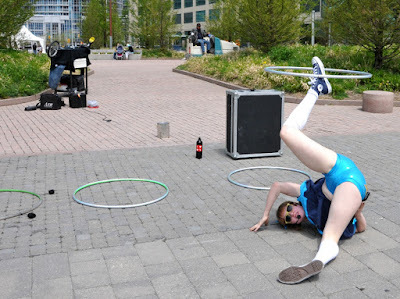 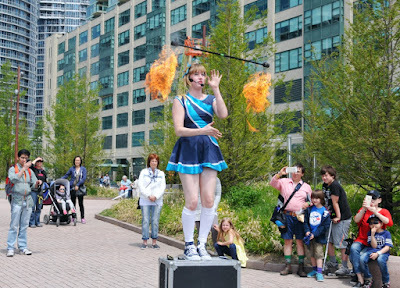 The talented street performer also has a great sense of humour and she started in the big leagues last year when she joined the artists at the Toronto Buskerfest.